You have the power to decide whether to let the pain control you, or you control the pain and its effect on you. 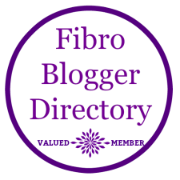 I have fibromyalgia, but it does not have me. I made a conscious choice a long time ago to not act like a victim and to deal with this illness known as fibromyalgia with positive attitude and healthy habits. But to be perfectly honest, some days it is tough to maintain the positivism when you absolutely feel like you have been hit by a mack truck. I am not going to lie and say I don’t have bouts of crying and “why me?” moments, but they are few and far between since a shift in attitude. So how do you cultivate a positive mindset when you are dealing with chronic pain?